The thought of picking out my own classroom furniture always felt like a wish that would never come true. Having taught in three different classrooms/schools, I learned that you not only “inherit” stuff left behind in your classroom from who knows how long ago…but also that arranging desks is my enemy. 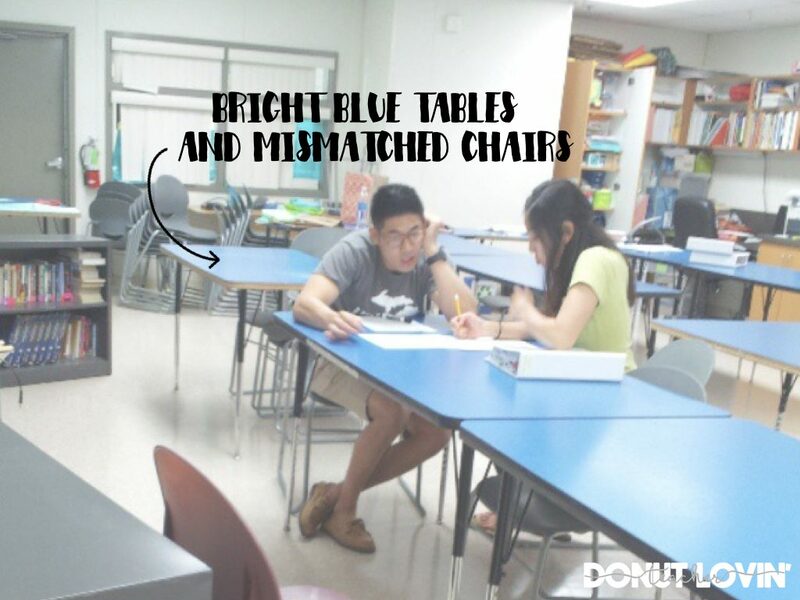 My first year, students had individual desks with a wire basket and these dark blue chairs. 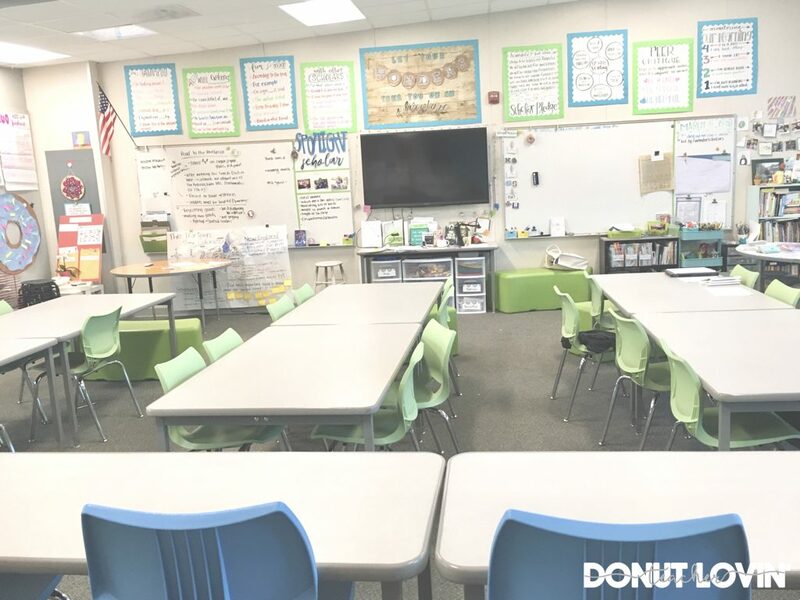 I too frequently changed the layout because I kept thinking that if I could plan the perfect seating arrangement, my students would be more focused and work harder. Face palm. A year later at my second school, I was the first one to “move in” to my classroom. I was told that I could have whatever furniture I could find among mine, five other classrooms, and whatever was in the basement. You better believe that I scoured every classroom I could to find the most perfect furniture I could. What this really meant was that I had to choose between having a mix of grey and blue tables, or I could move tables in/out to have a matching set. It was a no brainer: uniformity in my tables would keep me sane, so I ended up with 18 tables that were bold and blue. I thought this would be ideal for collaboration, but also wanted to have the option for two students per table (large class sizes!). Next, I had to choose between heavy, clanky metal chairs that dipped in the back or grey plastic chairs that didn’t all match, but seemed like they would be more comfortable and easier to stack. Thinking back, I’m grateful I at least had mostly matching tables and chairs, but boy was I selfish. 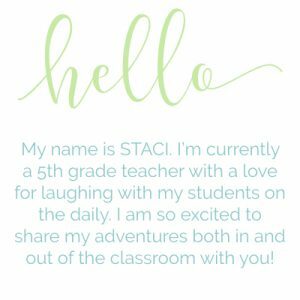 Every time I went to visit my coworkers in their classrooms, I would cringe at their mismatched and uncomfortable furniture because I felt bad that they didn’t have the same “choices,” as I did. 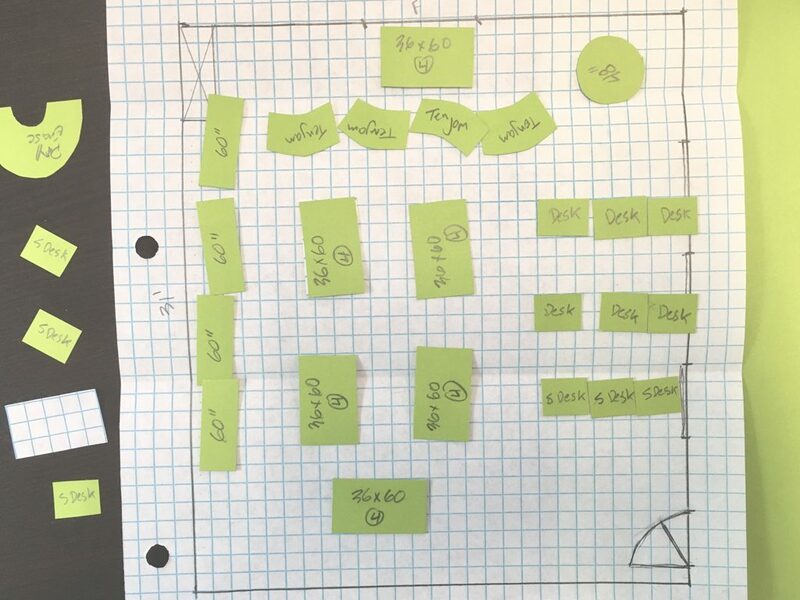 Planning space-efficient layouts is always a challenge and I'm grateful for a second or third opinion. 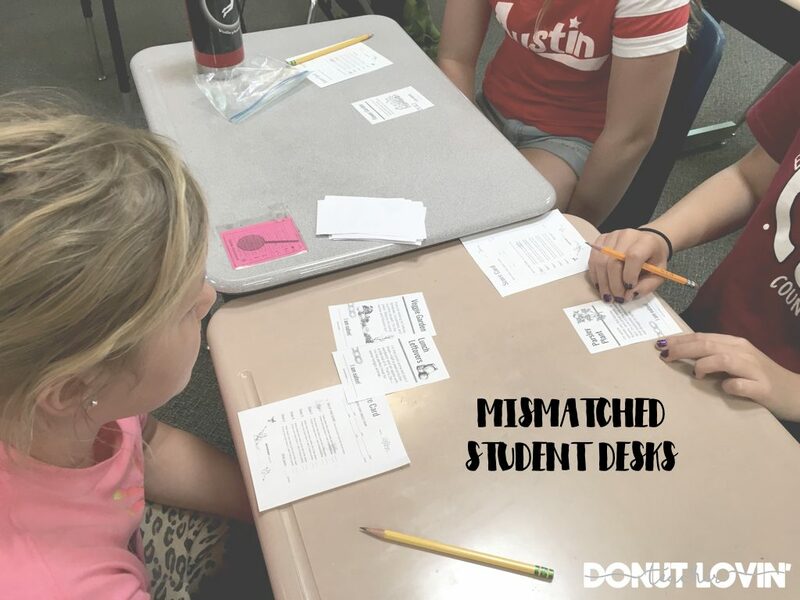 Let's face it, mismatched furniture is a part of so many of our classrooms. We just embrace it! School and classroom number three: 31 chairs (almost all that stacked properly) and 31 individual desks with a mini cubby underneath. I thought it would be fantastic because we could easily change from group to individual work whenever we needed to throughout the day. Again, I was wrong. The desks, full of student books and probably all my missing pencils, were difficult for my students to maneuver and in the amount of space we had, didn’t make it easy to make the switch I hoped for. I hope I don’t sound like I’m whining because I’m not. 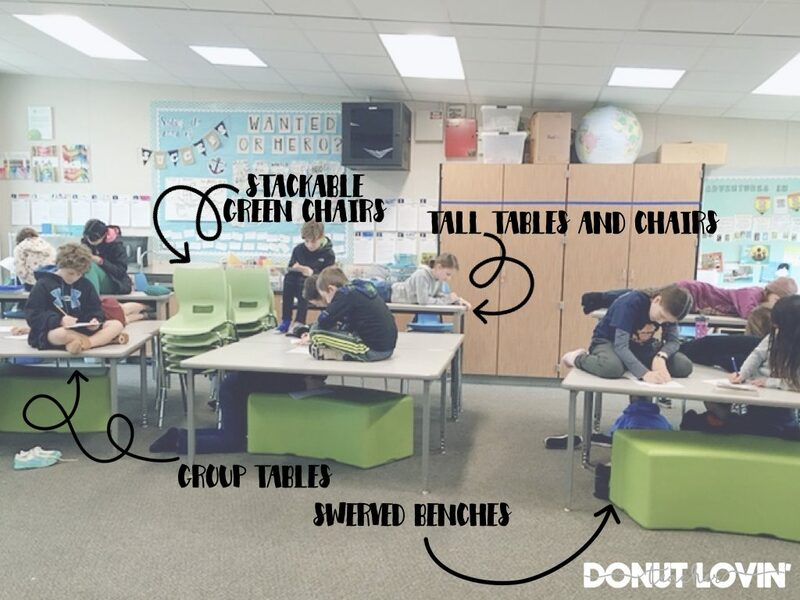 Classroom environments are tricky and I am grateful to have chairs and desks for each student! Last spring, my school received a grant that allowed the grade levels with the oldest furniture, to replace it with new furniture. I thought this was a DREAM. COME. TRUE. I was allowed to get any furniture I wanted, and there really didn’t seem to be a huge budget constraint. As perfect as this sounds, it was really quite stressful and overwhelming. In fact, my teaching partner’s husband even tried to help us by making these scale model paper cut outs so we could play around with different layouts/furniture types. Scale model cut outs to visualize the layout of our space. Not really knowing where to start, I looked through three catalogs from my school and made decisions from those without looking into other options that could overcomplicate the decision making process.. Now that I have my new furniture, I recognize pros and cons to it all, but ultimately feel extremely grateful for the opportunity to select classroom furniture that suits my teaching style! Below are some pictures of the furniture I currently have in my classroom. Each title is linked to the product and if you’re in the decision making process, you can read about my experience with each. Once in a while we have to switch things up to keep things fresh. For my students, extreme flexible seating is so exciting! Pros: These are great for group work and are big enough that four students can fit comfortably, or 5-6 if necessary. These tables might be large, but my students can easily work together to move them when we need to rearrange classroom furniture. Things to consider: The table tops seems to get dirty easily and can be challenging to wipe off even just accidental pencil marks left behind. Pros: I absolutely love all of the different color options. They’re comfortable and give a little in the back for kids who tend to rock in their seat. My kiddos have no problem lifting to stack these chairs. Things to consider: Although the color I chose is welcoming and fun, these chairs do not hide any dirt or scratch. For cleaner looking chairs on a long term scale, darker colors might be a better option. Pros: For kiddos (and adults) that like to rock back and forth in chairs, these are really helpful for fidgeting. Things to consider: You know that one student you’re currently thinking will fall off of these stools? Well, I guarantee you they will be the one to fall off. Also, the seat and stem of the stool separate a bit easily, sometimes making it challenging to move these around the(m) room without them splitting apart. Pros: These tables are AMAZING for flexible seating. 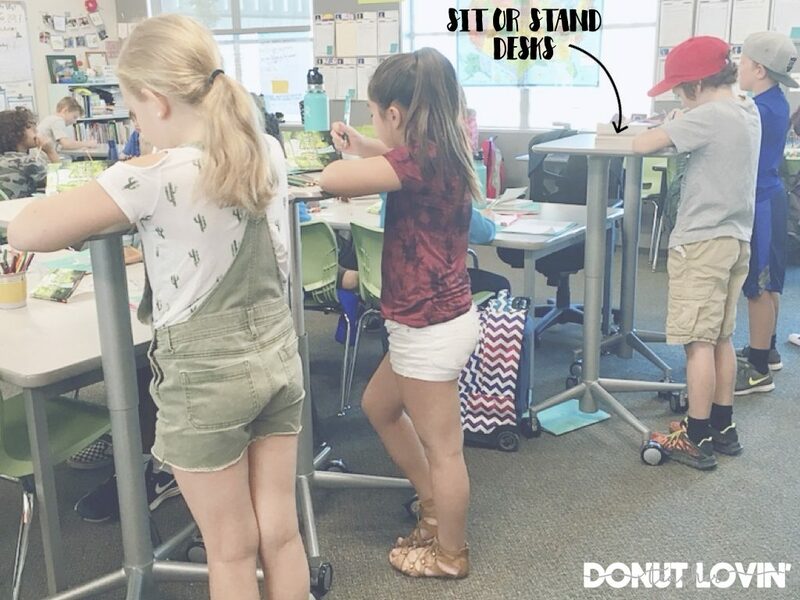 They give students the choice to sit or stand while working. They are easy to raise and lower and have wheels that make them easy to move and wheel locks to keep them secure! Things to consider: Because the base does not have four separate legs, it is difficult for students to “push in” their chair. I find that these work best with my $10 IKEA stools. Pros: These are AWESOME for kiddos who like to stand. They are even adjustable, allowing them to be shortened to the height of a regular table if necessary. 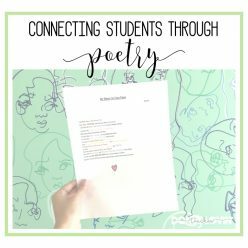 They are also great for other students to come stand in front of for collaborative assignments. Things to consider: Due to the height of the table and chair combined, some students have to bend over to write on the table, but nobody has ever said this was uncomfortable. Pros: I absolutely love the way students get to dangle their legs in these chairs! These chairs can be ordered in many color options and they are very durable. Things to consider: It might seem impossible, but I’ve NEVER seen a student tilt forwards or backwards in these tall chairs! One drawback can be stacking these chairs. We don’t stack them because they are awkward for a 5th grader to lift and they are even trickier to unstack. Pros: These tables are easy to clean and extremely convenient for small group work! 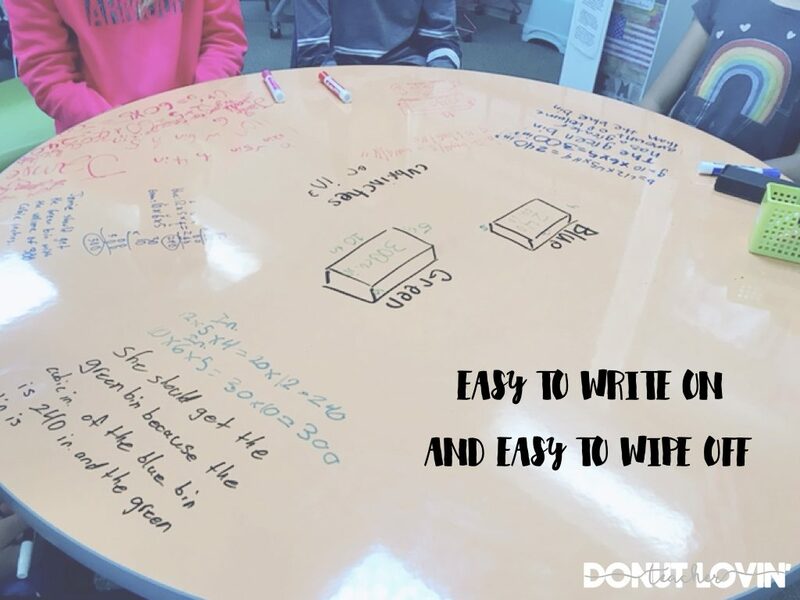 My students LOVE having the ability to write on the table and it definitely increases engagement . They come in a variety of shapes and colors and some of them can be raised or lowered to many height levels. Things to consider: These tables are on the more “delicate,” side so say no to spiral notebooks on top of this table. It can scratch if you’re not careful! Pros: Easy to push around the classroom (on carpet) and hide under tables if not in use. 1-3 students can comfortably sit on these benches at a time, depending on the length of time/task. They’re convenient because they can be arranged together or separately! Things to consider: They’re a bit bulky and although similar to the green chairs, can show more dirt than one would like. They’re hard to clean off and are too heavy to stack. For me, my favorite furniture additions are the tall tables/chairs and DEFINITELY the white board tables. 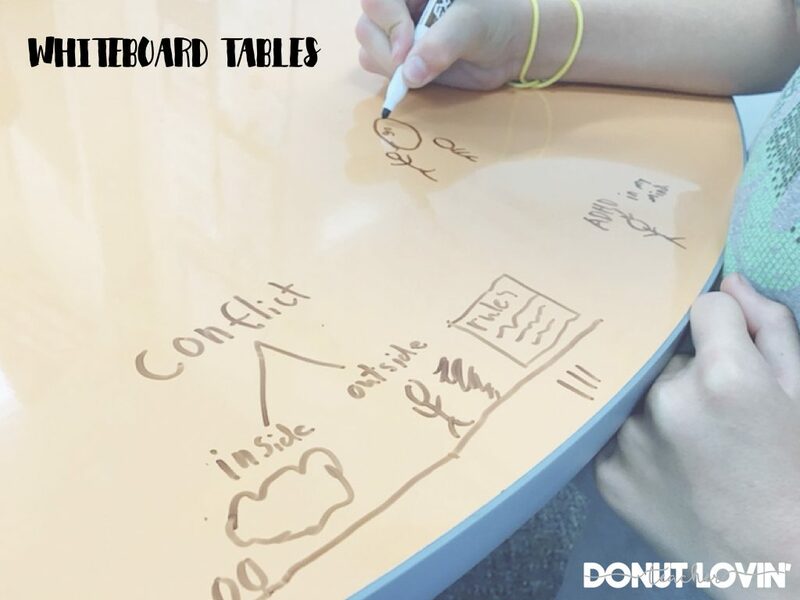 The tables add a level of engagement for the kids because when else are they allowed to write on a table? If you are in the position to select new classroom furniture, remember to keep your students in mind. Think about what choices you would like them to have and what kinds of ways they like to learn. Consider the space you know they need to work and the space they like to have. At the same time, think about what you’re comfortable with, or how much you’d like to step outside of your comfort zone. As cool as they are, yoga balls were too far out of my comfort zone and would only cause me to set more rules, which is the opposite of my intention with flexible seating. 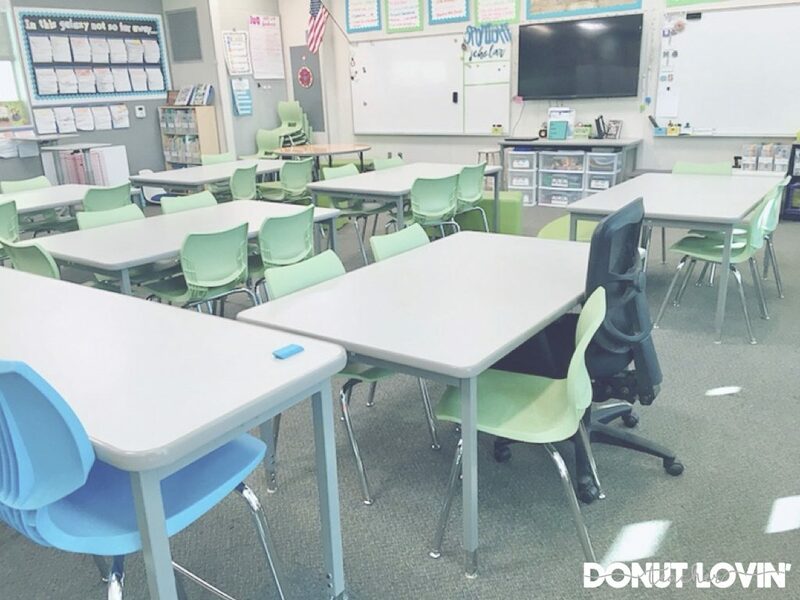 What furniture would you like to try in your classroom? *All content includes my own opinions based on personal experience. I have no affiliation with any of the companies whose products I reviewed in this blog post.